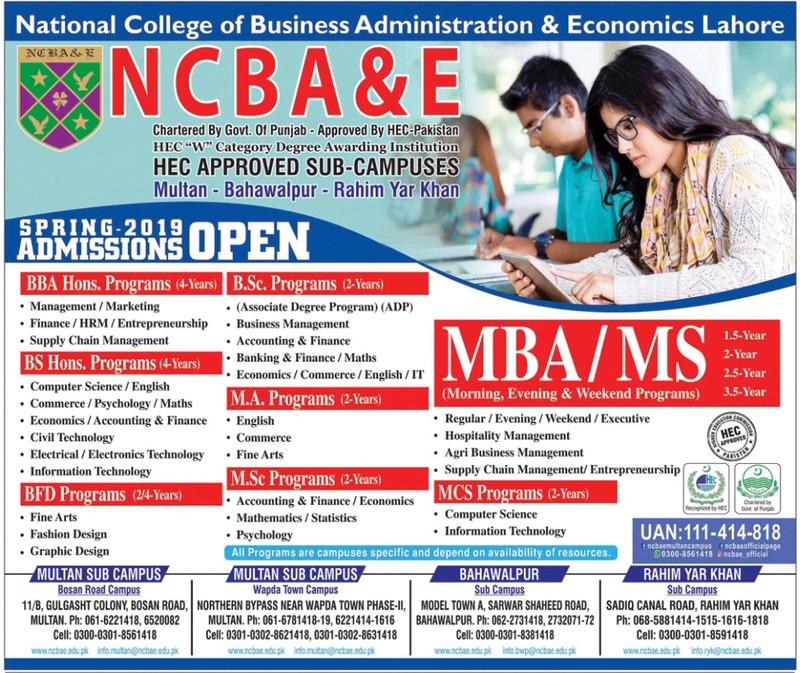 Lahore, National College of Business Administration & Economics Lahore has announced the admission process in its HEC approved campuses located in Multan, Bahawalpur and Rahim Yar Khan at the graduate and postgraduate levels like NCBA&E bachelor / master Spring 2019 Admissions. The students will get the information of their NCBA&E Spring 2019 Admissions Open and they will submit their admission forms at their earliest. The students will visit the site and they will get the detailed information regarding their programs with the duration at the bachelor and master degree levels. The students will pay the admission fee with the NCBA&E Spring 2019 Admissions forms.